This garden, which is an evocation of an earlier Tudor pleasure ground, was created in 2009 in the Palace’s inner precincts to mark the 500th anniversary of King Henry VIII’s accession to the throne. 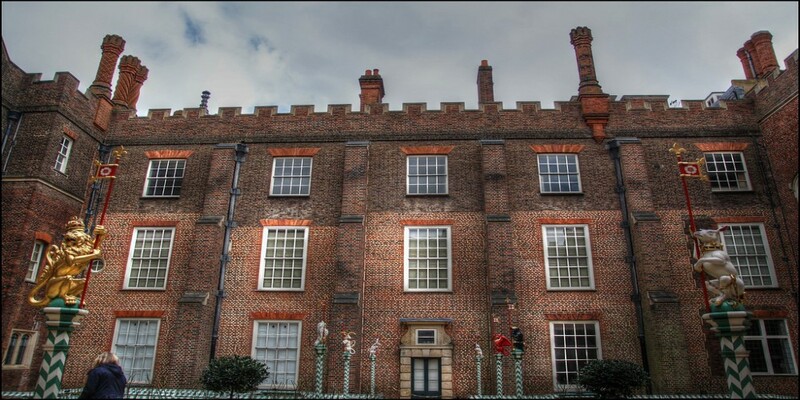 It is dominated by eight ‘Kyngs beestes’ – or heraldic supporters – raised on lofty painted posts, and arranged in a double row aligned on the door of the c16th Tennis Court. The designs of the beasts are based upon drawings produced in the early sixteenth-century now in the College of Arms, and their bright livery reflects the traditional Tudor heraldic colour schemes.